Australia’s top pharmacy assistant named! Alice Vanderpol from Moama Village Pharmacy in New South Wales has been announced as the 2018 Pharmacy Guild of Australia/ Maxigesic Pharmacy Assistant of the Year. Alice was chosen from over 750 nominations and awarded the title at the annual Pharmacy Assistant National Conference on the Gold Coast on Friday. “This is a huge achievement! All of the other state winners were amazing so I am really proud to be chosen as the National Pharmacy Assistant of the Year. “I’m looking forward to embracing new opportunities in the next twelve months and encouraging pharmacy assistants from all over Australia to not only value the work we do – but also the contribution we make to community pharmacy. It’s important and we make a difference,” Alice said. 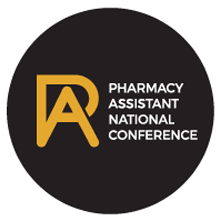 Pharmacy Guild of Australia Group Executive Pharmacy Transformation Group and National Judge, Colm Maguire said this award reinforces the importance of pharmacy assistants in community pharmacy across Australia. “The work of pharmacy assistants is integral in ensuring that community pharmacies are patient-focused health care providers and successful, community-minded small businesses,” Mr Maguire said. “With over 350 million patient visits every year, pharmacy assistants are one of the biggest contributing factors to why pharmacies enjoy such high levels of public support and customer satisfaction. Mr Maguire added that Alice demonstrated a wide breadth of knowledge, passion, and commitment to community pharmacy. “Alice has displayed a strong commitment to her work and the pharmacy industry and her continued motivation to improve retail services and experiences was outstanding,” Mr Maguire said. “On behalf of The Pharmacy Guild of Australia, I would like to congratulate Alice on being awarded the prestigious, 2018 National Pharmacy Assistant of the Year Award,” Mr Maguire said. General Manager (Aust) of award sponsor AFT Pharmaceuticals Pty Ltd, Calvin MacKenzie said that the organisation is proud to partner with The Guild to recognise and reward pharmacy assistants. “Our company is committed to supporting and acknowledging the vital role pharmacy assistants play within community pharmacies,” Mr MacKenzie said. “It’s inspiring to learn about the contributions of pharmacy assistants who are so dedicated, innovative and committed to making a real difference in their pharmacies by putting patients first. “I commend all participants for the achievements and important contributions that they have made to patients and the community pharmacy sector. Congratulations to Alice on the outstanding achievement of being named the National Winner,” Mr MacKenzie said. The Pharmacy Guild of Australia/ Maxigesic Pharmacy Assistant of the Year Award is the premier award for pharmacy assistants in Australia. Support from industry and sponsors is vital in ensuring that pharmacy assistants across Australia continue to be acknowledged, honoured and celebrated. As the 2018 National Pharmacy Assistant of the Year, Alice will be awarded with over $10,000 in cash, prizes and educational opportunities.